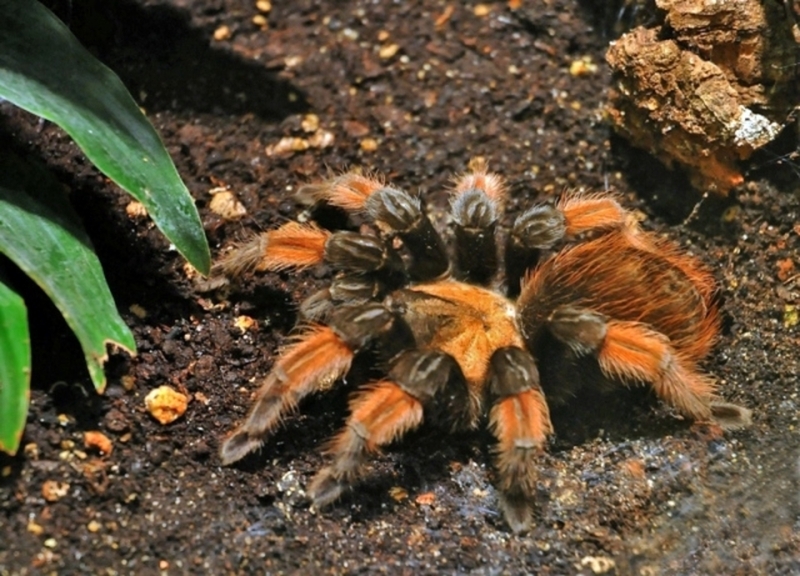 In the terrarium section you can find various tarantulas and frogs, but mainly reptiles. Turtles, snakes, lizards and crocodiles count among them. 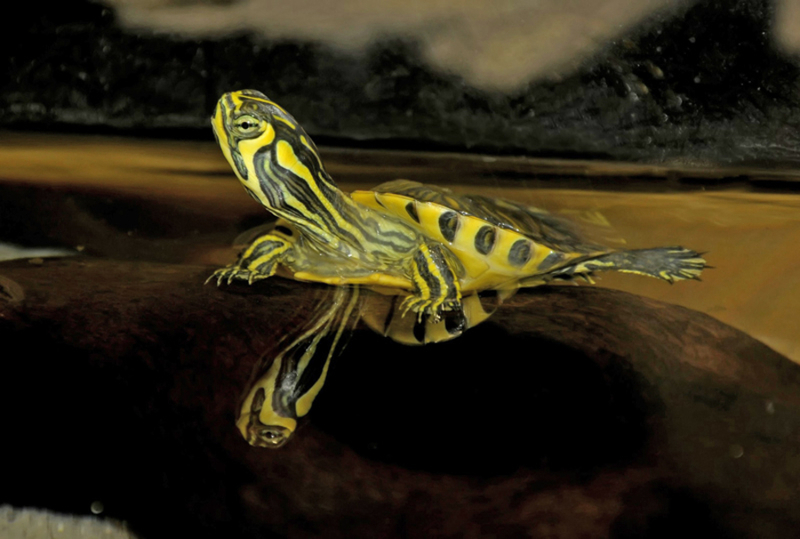 No matter where those turtle species live – if in freshwater or seawater – they breathe air and need to come to lay eggs on dry land. 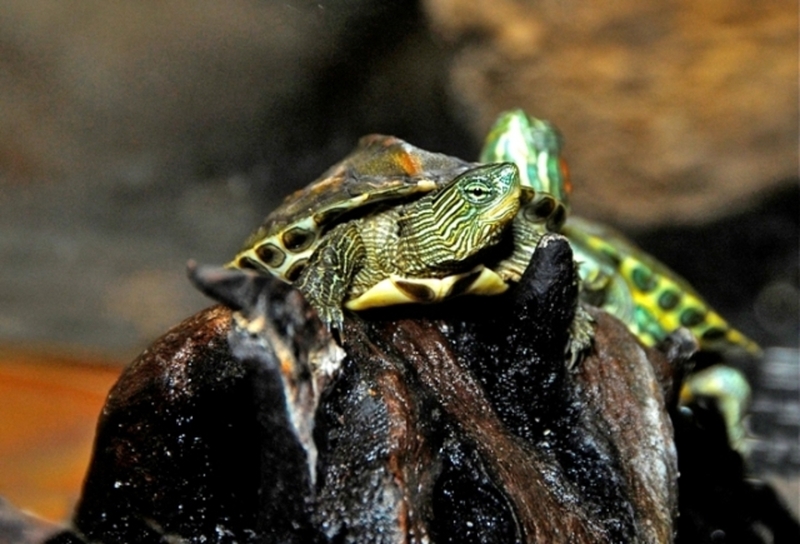 European pond turtle species (these turtles are mainly carnivorous) they hunt fish, worms and snails. However their diet contains plants as well. Snakes – the jaws are not firmly connected with a joint, but only with muscles and sinews so that they can swallow the prey in one piece. 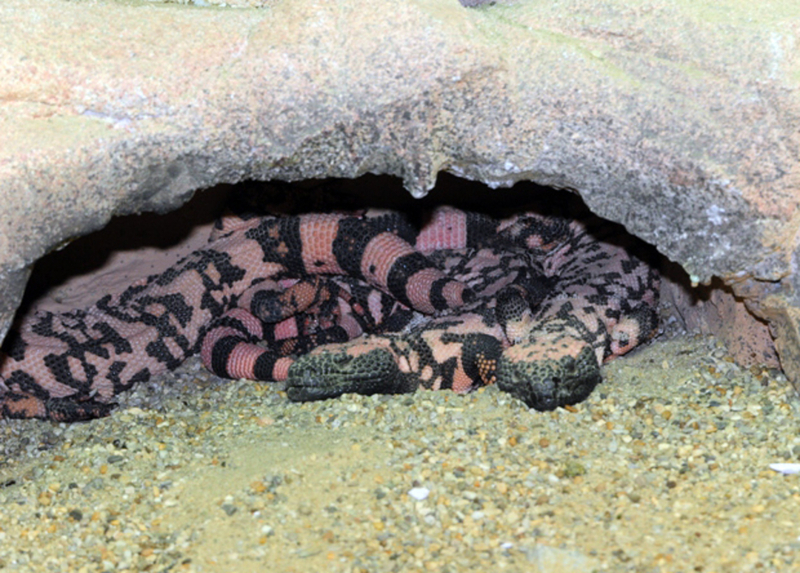 All representatives of this family are not venomous – they kill by constriction. Pythons are naturally found in Africa, Australia and Asia, Boas inhabit mainly the American continent. It is an originally group of snakes, which can be recognised by the rest of legs in shape of two toe nails, in science so called dewclaws. Males have longer dewclaws than females, which gives an opportunity to differ between sexes. 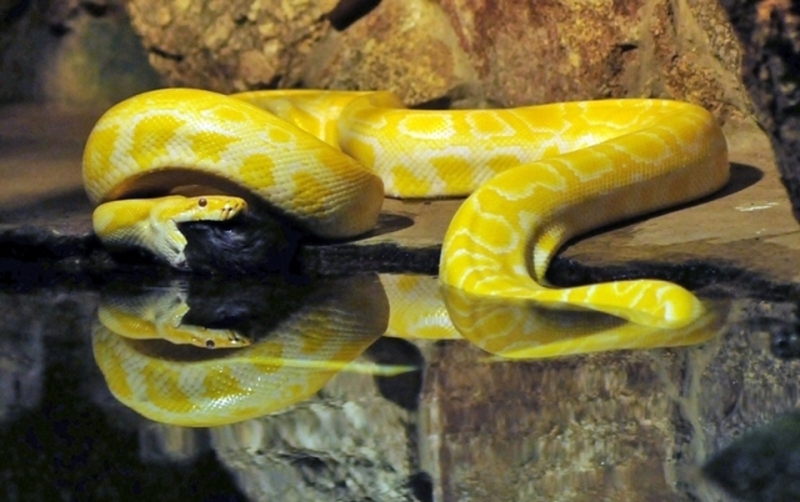 Amongst the constrictors you find the longest known snakes, the Asian Reticulated Python and the Green Anaconda. Both can reach a length of up to 9 m, whereupon the Anaconda weighs twice as much as the Reticulated Python. The Green Anaconda may possibly reach even more than 9 m length and 200 kg weight, but such dimensions are lacking scientific evidence. 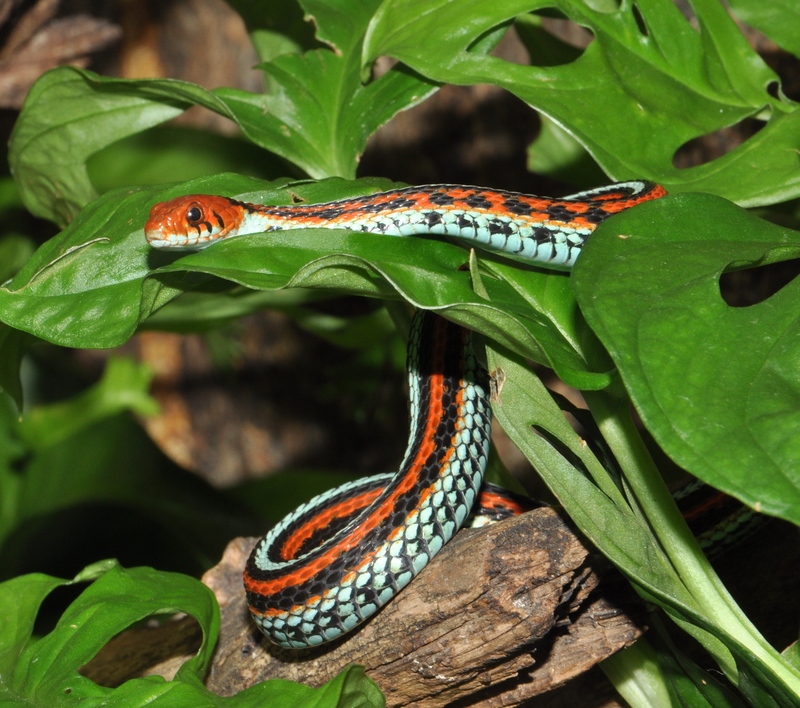 The genuine Colubrids don’t have any venomous glans or teeth, however the representatives of the venomous Colubrids do. The fangs are placed in the back of their mouth. Cobras are the most known representatives of this family. They have two fixed fangs in the front of the mouth that channel venom into the prey, and which they can’t retract. Mambas count among the venomous colubrids too, however they can retract their teeth. There are four different species, all living in South or Central Africa. The biggest of them – the black mamba – can get 4 m long. Also all vipers are venomous. Unlike the venomous colubrids they can retract their teeth. Therefore these snakes can develop long fangs. The fangs of a 2 m long gaboon viper are approximately 4 cm. 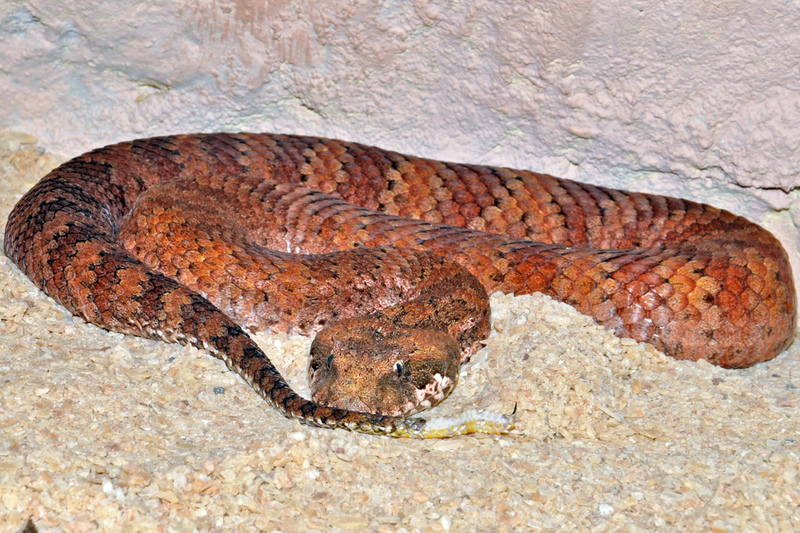 Generally snakes (also lizards and many mammals) have so called Jacobson’s organ. They stick out their tongue to gather scents and then touch it to the organ in their mouth, (which lies close to nasal bones) and so they can detect a pray. 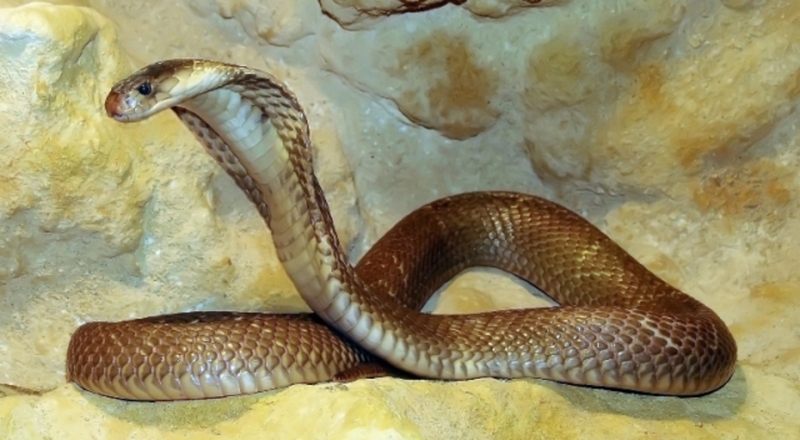 From an evolutionary standpoint this snake group ist he most highly evolved. 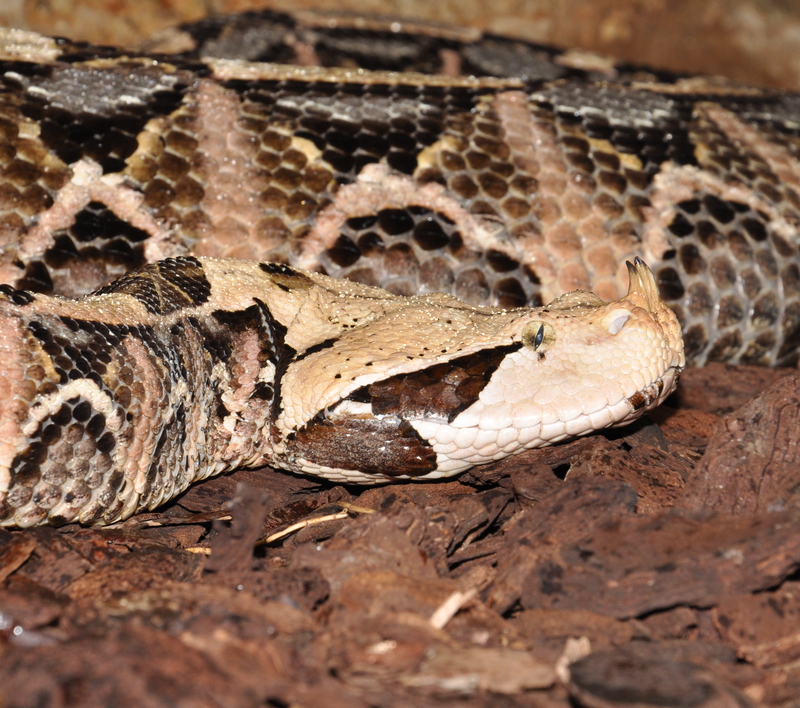 All members are poisonous and, like other vipers, have folding fangs. 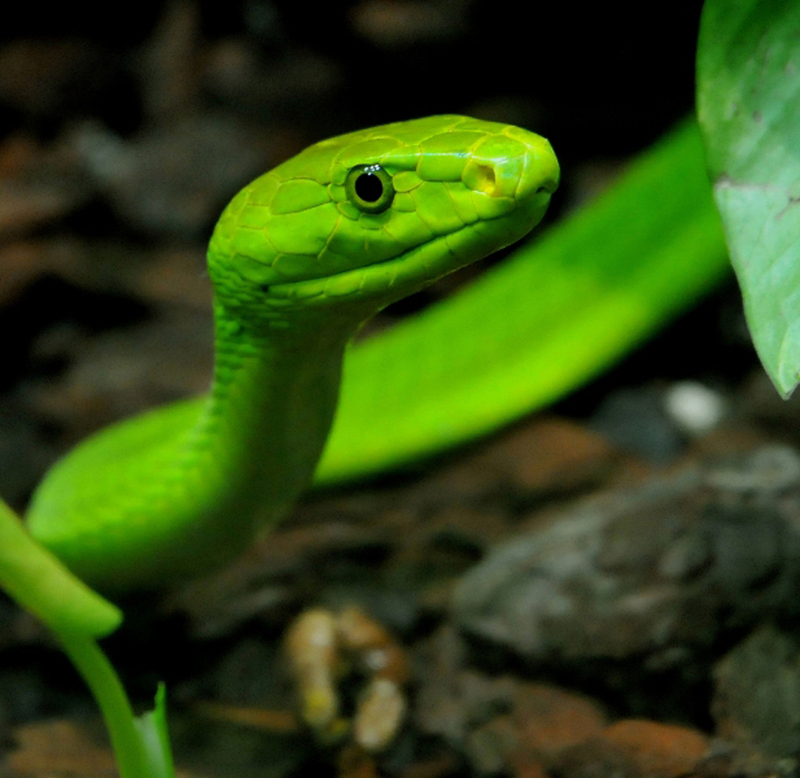 In addition, the pit vipers have developed a sensory organ that gives them their name: the pit organ. This is a heat-sensing receptor that enables the snake to distinguish temperature differences of as little as three-thousandths of a degree between the left and the right sensory pit. These “infrared eyes“ help them to detect warmblooded prey at night and are particularly visible in rattlesnakes. They are located on the head, directly behind the nostrils. In addition to rattlesnakes, this group also includes the moccasins. 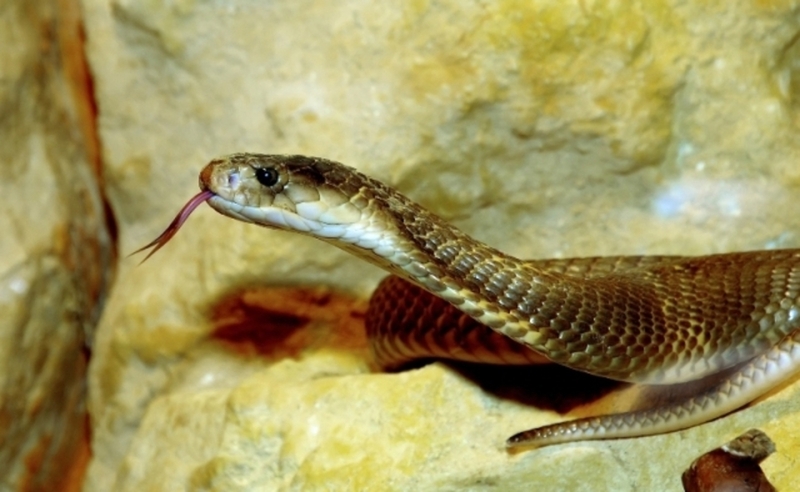 Most visitors will have observed that some snakes dart their tongues in and out. This behaviour helps them smell. The tip oft he tongue is forked into a left and right half. When the snake sticks ist tongue out, odor molecilues stick to the two halves of the fork. 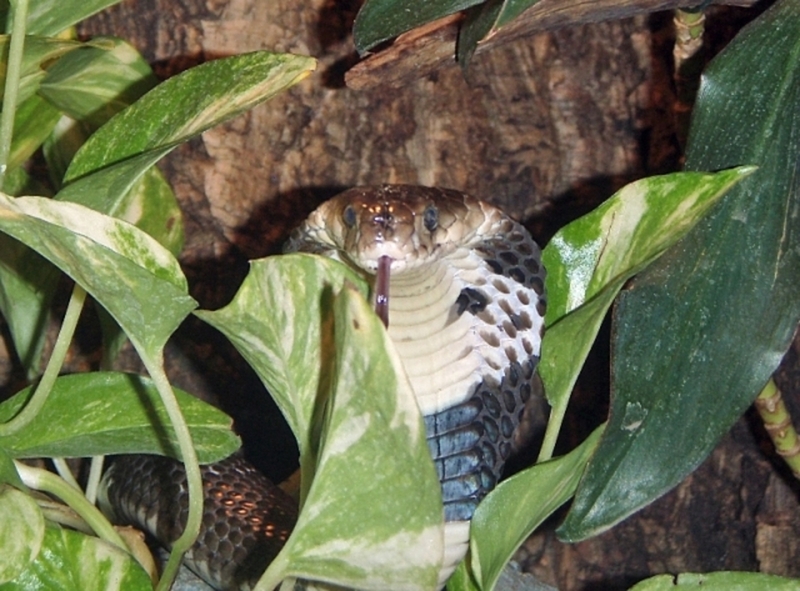 Once the tongue is retracted, the snake sticks it into two sensory pits in the roof of the mouth, one tip into each pit. The actual act of smelling takes place there, in the so-called Jacobson’s sensory organ. 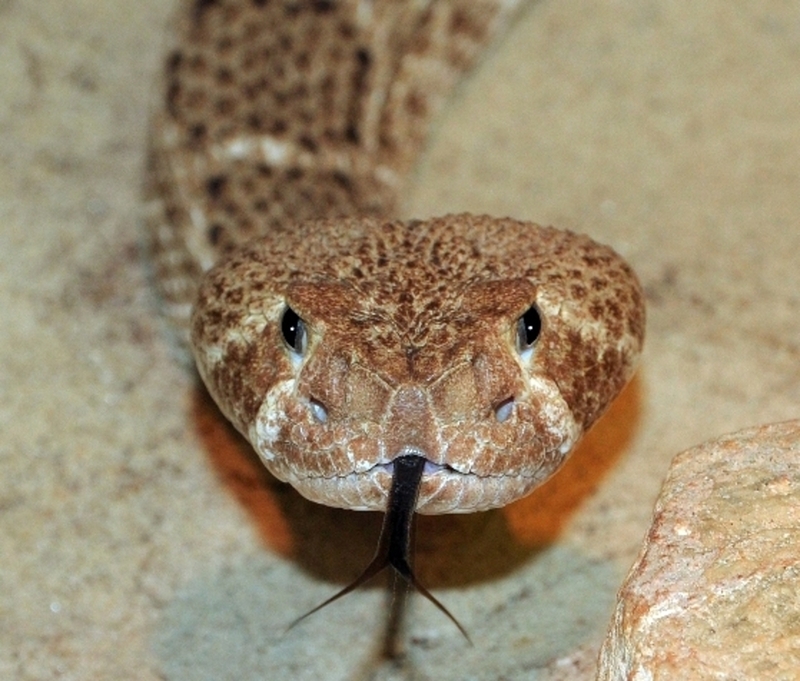 The forked tongue must be placed into this organ before the snake can determine whether the right-hand side or the left-hand side smells more of mice. Dear visitor, don’t let the outer appearance of snake skin fool you. Although it is shiny in most species, it is by no means wet or slimy. In fact, it couldn’t be drier. This family is evolutionary the most developed one. They have a special organ - loreal pits - through which they can detect even one thousandth of Celsius degree difference and therefore successfully hunt in the night. Two families of lizards are worth mentioning: Gilla monsters and chameleons. They are mostly night active, except Phelsuma – the day gecko, inhabiting Madagascar. New studies show that changing of color is not related to blending in with the surroundings. They express their mood through it. They can move their eyes separately which enables them 360° view. The stickiness of their tongue is a rumor – such tongue would be definitely very practical for every hunt, however latest back in the mouth with the pray, it would cause difficulties. It’s actually much simpler: At the tip of the tongue, there are specially developed muscles which wrap around the prey. 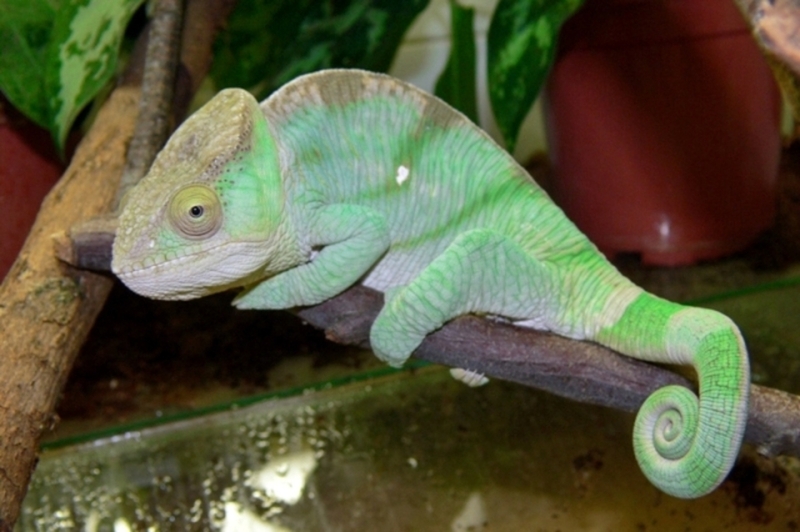 The chameleon has to relax those muscles when the tongue is restricted. 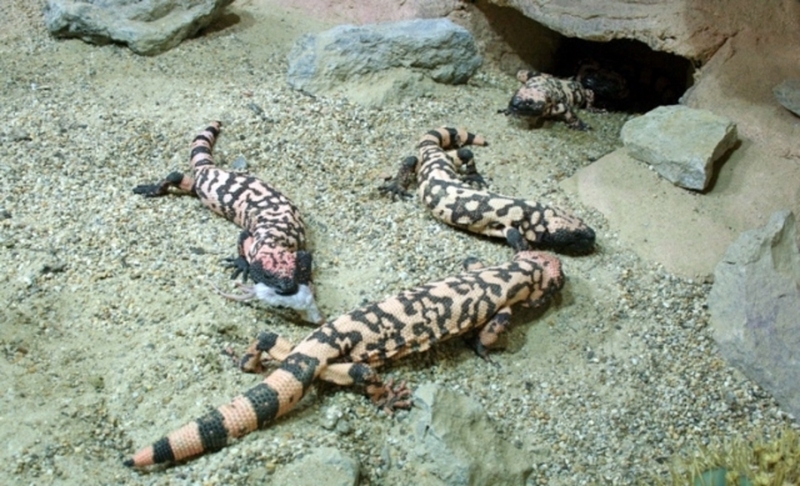 Gilla monsters inhabit the desert of Sonora in Mexico, grow up to 60cm and feed on small vertebrates. Their venom is not too strong, therefore they have extremely powerful bite so that they can inject a sufficient amount into the prey. The venom, so called Gila toxin, is a neurotoxin, which causes pain, swellings, nausea, blood circulation problems and under certain circumstances it can be even fatal for humans (without medical treatment). 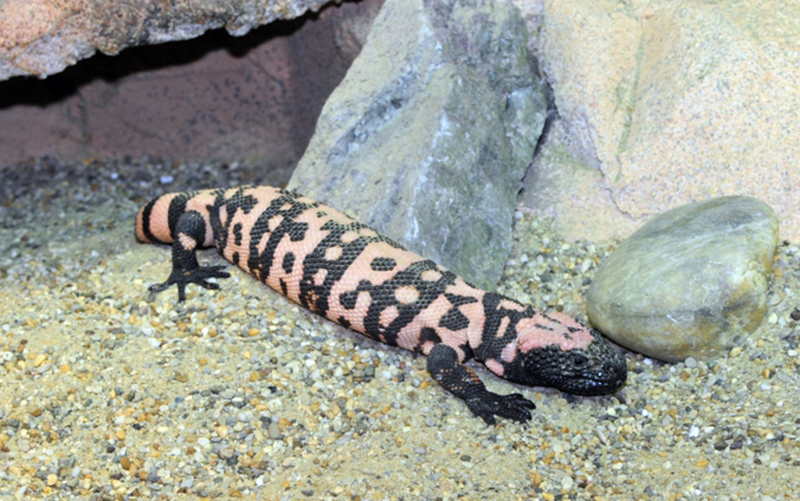 The biggest, not extinct representative of this species is the Chinese giant salamander. It can exceptionally reach length of 1,8 m. In his habitat, China, this amphibian lives in cold clean rivers or lakes, where the temperature doesn’t surpass 15°C. Salamander lies still in wait for fish or crabs. Poison dart frogs, native to Central and South America, secrete toxins from their skin, which strongly influence nerve system. 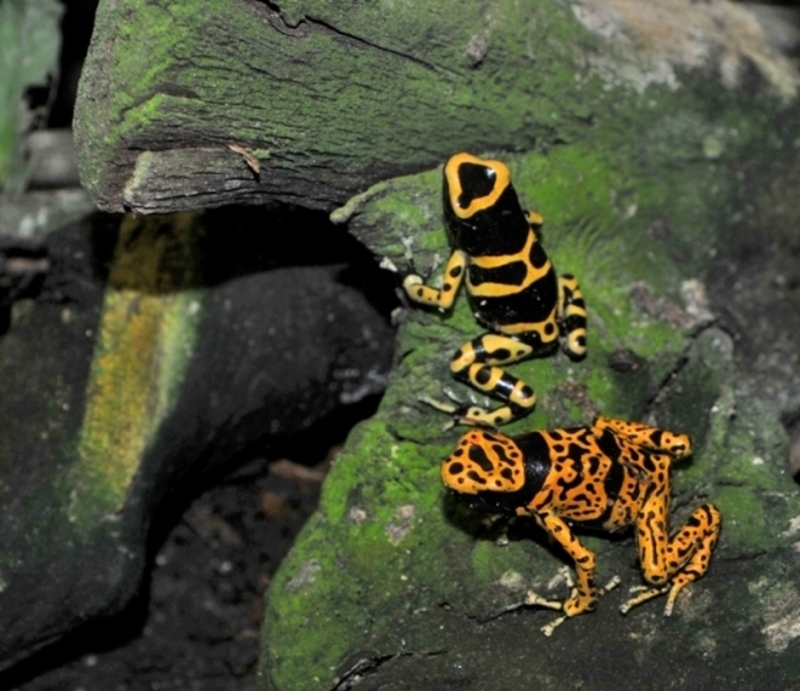 They’re called “dart frogs” because the Amerindians use the toxic secrets to poison the tip of blowdarts. None of this species representative is so venomous that one bite would be fatal to humans.